With a dearth of theory on the social and cultural ramifications of hugely popular online services, Lovink provides a path-breaking critical analysis of our over-hyped, networked world with case studies on search engines, online video, blogging, digital radio, media activism and the Wikileaks saga. This book offers a powerful message to media practitioners and theorists: let us collectively unleash our critical capacities to influence technology design and workspaces, otherwise we will disappear into the cloud. Probing but never pessimistic, Lovink draws from his long history in media research to offer a critique of the political structures and conceptual powers embedded in the technologies that shape our daily lives. Geert Lovink is director of the Institute of Network Cultures at the Amsterdam University of Applied Sciences, teaches in the new media program at the University of Amsterdam and is media theory professor at the European Graduate School. "Geert Lovink is one of the most brilliant and original theorists around today … This is a highly engaging book, packed thick with arguments … Every word Lovink writes elicits a response." "This book offers a number of strong points which help to regain focus on establishing and nurturing much-needed alternative networks." "Makes a unique contribution by effectively capturing the technological specificities of Web 2.0 amidst the larger issues of technocapitalism, while not erasing possibilities for organization and change." "Geert Lovink is our Tin Tin. Like that canny adventurer, he travels the world discovering new frontiers of both folly and invention. In place of Tin Tin's trusty dog Snowy, he takes with him a quick wit and independent mind. He has a detective's eye for the real story behind the bright assurances of twenty-first-century networked culture." "This book proposes a new kind of memory for the computer: counter-memory, revisiting recent pasts, deep presents and near-miss futures, always challenging us to ask of, and to invent, the nature of networks." 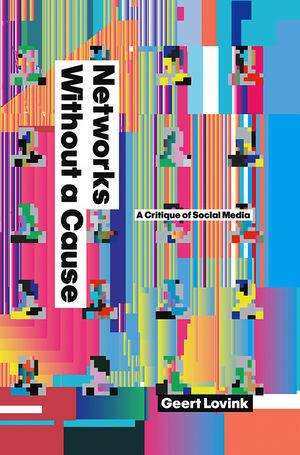 This book is a cutting-edge critical analysis of our contemporary networked world. Why are so many people so obsessed with social network sites like Facebook? Lovink dissects our collective obsession with identity and self-management together with the fragmentation and information overload endemic to contemporary online culture. The book includes case studies of search engines, online video, blogging, digital radio, media activism and the Wikileaks saga. The author is widely regarded as one of the leading theorists of new media and the internet. This book will appeal to all students of new media and the internet, media theory and media studies.